Lenovo 0A65626 ThinkPad Ultrabay Slim 9,5mm Drive IV DVD Laufwerk. Original / NEU in OVP, s. Fotos. YAMAHA CRW 2100S SCSI Intern CD Brenner. 100% OK, gebraucht, funktionsfähig, im guten Zustand. 1x Brenner wie abgebildet und beschrieben. Zustand: Top, vollfunktionsfähig, aus dem laufenden Betrieb. TechPulse120 externes Blu-ray Brenner M-Disc USB 3.0 BDXL Aluminium 3D Burner Superdrive Blueray Laufwerk BD DVD CD UltraSlim für Computer Notebook Ultrabook Windows Mac OS Apple iMAC Macbook Pro Air. 80 Lautsprecher. Bauart: extern. CD-ROM Laufwerk Durchschnitt Direktzugrif fZeit: 190 ms. DVD Laufwerk Durchschnitt Direktzugriff Zeit: 190 ms. 30 Handschuhe. 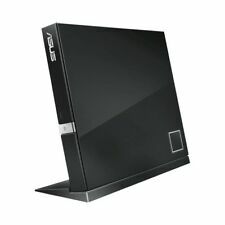 Asus SDRW-08D2S-U Lite Schwarz externer Slim DVD Brenner extern USB 2.0. If your model is not listed, we can still service it. If we can't fix it, no one can! Save up to 40% on repair fees by using us! TechPulse120 Blu-ray Brenner USB 3.0 Externer Burner Superdrive portable Blueray Rom 3D Laufwerk BD DVD CD Slim. techPulse120 Blu-ray Brenner USB 3.0 Externer Burner Superdrive portable Blueray Rom 3D Laufwerk BD DVD CD Slim für Computer Notebook Ultrabook Netbook Laptop Windows Mac Apple iMAC Macbook Pro Air. NEW DELL DW316 DVD +-RW Burner Laptop Slim External USB Drive / Fully Boxed !!! Hello for sale new DELL DW316 DVD -RW e xternal USB slim disc reader and burner. Item it's new whit safety foils on it ! Manufacture: ACARD. With ACARD RISC CPU Engine, it doesn’t need connecting to a computer or require much learning. The first support SATA DVD drives for recording DVD/CD quickly. It is quite fit for general offices. Unit is in great shape and works very well. No manuals or other accessories. Power up and basic function test only. This item is graded as Grade B. Grading definition. 6x massimo DVD R DL e DVD-R DL velocità di scrittura 8x massimo DVD R e velocità di scrittura DVD-R per la masterizzazione rapida. Unit is in good condition with light signs of use. Perfect working order. TechPulse120 USB 3.0 Externes 3D Blu-Ray Brenner Rom Laufwerk BD/DVD/CD BDXL M-Disc Ultra Slim. techPulse120 Blu-ray Brenner M-Disc USB 3.0 BDXL Externer Burner Superdrive Blueray Rom 3D Laufwerk BD DVD CD Ultra Slim für Computer Notebook Ultrabook Windows Mac OS Apple iMAC Macbook Pro Air. 6x Slim Portable USB 3.0 BD/DVD/CD Burner. Supports BDXL™ format. Ultra lightweight. Pioneer drives with Auto Quiet mode, monitor how they are being used and will adjust their speed automatically – high speed for data transfer, and low speed for music or movie playback. LG GSA E10N Super-Multi - DVD±RW (±R DL) / DVD-RAM drive - USB. Netzteil, mit einem USB Port. Zustand: gebraucht im guten Zustand;. (passt z.B. für Panasonic CF-27, dieses Notebook hat nur 1x USB Port). CIpotZIZ Externe Blu-Ray-Laufwerk Combo, USB 3.0 Aluminium, 3D Blu-ray-Disk-Player & DVD/CD-RW Brenner für Macbook Pro Air und Ultra Notebook PC Desktop-Computer, Plug und Play, Weiß. Einfache Bedienung. BDXL™ Format Support. Turbo Engine enables 6X Blu-ray writing. 6X Blu-ray High Speed. Flexible Dual Positioning. Free unlimited ASUS Webstorage for 12 months. (Windows OS). (supporting after manufacture date 2017/March, firmware update required). LG GSA-4040B Super Multi DVD drive in excellent used condition. What you see is what you get. No exceptions. Sold as seen. Diese Festplatte(n) haben eine Standardisierte Form und Größe, d.h. sie passt in ALLE Notebooks mit IDE Anschluss. Wenn Sie sich nicht sicher sind, bauen Sie Ihre alte Festplatte aus und vergleichen den Anschluss. 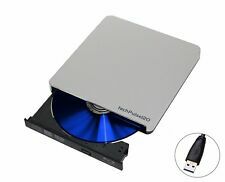 DVD-Brenner extern CD 24-fach CD-R 24-fach Stromversorgung über USB USB 2.0 . Fully stand-alone system - No computer ! No dvd duplicator software required. That premium has not been paid. That being said, we do understand that special situations can arise and exceptions can be made. Stromversorgung erfolgt über das Netzteil, daher. reicht aus, wenn Ihr Notebook nur 1x USB hat! Freevom USB CD-Brenner / CD-ROM mit 1x USB und inkl. Zustand: gebraucht im guten Zustand;. (passt z.B. für Panasonic CF-27, CD-28, dieses Notebook hat nur 1x USB Port). Sony Optiarc AD-7760H SATA Slimline Multi DVD Recorder (Brenner). Diese Festplatte(n) haben eine Standardisierte Form und Größe, d.h. sie passt in ALLE Notebooks mit IDE Anschluss. Wenn Sie sich nicht sicher sind, bauen Sie Ihre alte Festplatte aus und vergleichen den Anschluss. Siehe letztes Bild mit roten Pfeilen- der Auswurfknopf wurde abgeschliffen. Diese Lw sollten in Jets eingesetzt werden. Ich habe jedes Lw jetzt nochmal getestet, mit einer normalen DVD-ROM (passt auch ohne Caddy). Free unlimited ASUS Webstorage for 12 months. Windows and Mac OS compatible. DVD R : 8X. DVD RW : 8X. DVD R(DL) : 8X. DVD R(M-DISC) : 8X. DVD Video Playback : 4X. Read Speed. Mfr Part Number: WH14NS40. Drive Type: Super-Multi Internal 14X Blu-ray Disc Rewriter. BD-R : 14X. Interface: SATA (SATA 1.1a). Software: no software. Without Software. BD-BDXL QL: 6X. RoHS Compliant. The Naked Case is lightweight, easy to transport, and provides a sturdy low cost casing, perfect for anyone that wants to build their own duplicator on a limited budget. The Naked Case is also expandable with the ability to add multiple two bay add-ons so that the duplicator can grow as the user's production grows. LG GSA E10N Super-Multi - DVD±RW (±R DL) / DVD-RAM drive - USB. Netzteil, Betrieb mit einem USB Port möglich. Zustand: gebraucht im guten Zustand;. (passt z.B. für Panasonic CF-27, dieses Notebook hat nur 1x USB Port). Tipo drive ottico Blu-Ray DVD Combo. Interfaccia SATA. Colore del prodotto Nero. Utilizzo Scrivania. Certificazione E-Green Engine technology, Disc Encryption,-npassword protection, M-DISC support. Velocità di lettura BD-RE Dual Layer 6x. Tested, 9 -11 settings are Track Edit, Utility and Set Up . ASUS SDRW-08U5S-U. Purpose: Notebook, Optical drive type: DVD Super Multi DL, Interface: USB 2.0. CD write speed: 24x, CD rewrite speed: 24x, CD-R write speed: 24x. 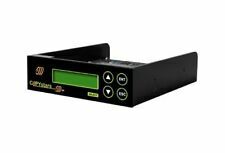 CD read speed: 24x, CD-R read speed: 24x, CD-RW read speed: 24x. ASUS SBW-06D2X-U optical disc drive BlackBD-R 6X - DVD-R 8x - CD-R 24x - 2MB - USB 2.0 - 335g - black. BD-R 6X - DVD-R 8x - CD-R 24x - 2MB - USB 2.0 - 335g - black. ASUS SBW-06D2X-U. Product colour: Black. HP 9.5mm Slim SuperMulti DVD Writer DriveBurner - Internal - Serial ATA - SATA. HP 9.5mm Slim SuperMulti DVD Writer Drive. HP 9.5mm Slim SuperMulti DVD Writer Drive. Purpose: Desktop, Optical drive type: DVD Super Multi, Interface: Serial ATA. The black BDR-XD055 6x Slim Portable USB 3.0 BD/DVD/CD Burner from Pioneer is a slim, lightweight, and portable Windows and Mac compatible optical drive. Sony Optiarc AD-7710H SATA Slimline Multi DVD Recorder (Brenner). DVD RW 8x, DVD-RW 6x, DVD- RAM 5x, CD-R/CD-RW 24x. technisch 100% OK, gebraucht, funktionsfähig, im guten Zustand. Schreibgeschwindigkeit : DVD /- R 8x, DVD /- R DL 6x. CD-RW 40x12x40 IDE Bianco. Masterizzatore CD. Interface: IDE. Interface IDE. Hitachi-LG Data Storage GCE-8400B. OPTICAL STORAGE. CD Extra, CD Text, CD-DA (audio), CD-I, CD-ROM, CD-ROM XA, Mixed-mode CD, Photo CD, Video CD. Mfr Part Number: BP60NB10. DVDR DL: 6X. Drive Type: Slim Portable Blu-ray / DVD Writer. BD-ROM: 26.97 MB/s (6x) max. DVD-ROM: 11.08 MB/s (6x) max. M-DISC DVD (DVD R): 4X. External (Host): USB 2.0 (480Mbits/s). '); } --> Copystars Smart New fast SATA 24x Technology! 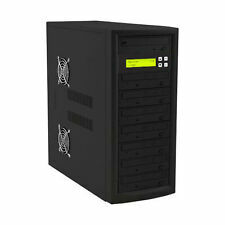 Standalone Copystars SATA DVD/CD Duplicator Series includes all the professional features in a user-friendly package. Built with durability yet economically priced, Copystars offers high speed performance and cutting edge technologies such as intelligent Hard drive Partitioning and Master Error Proof to ehance even the most demanding jobs. Free unlimited ASUS Webstorage for 12 months. DVD R : 8X. DVD RW : 8X. DVD R(DL) : 8X. DVD R(M-DISC) : 8X. M-DISC provides archival-quality storage to protect your precious photo, video and data for 1,000 years or more. Fujitsu ESPRIMO for second 3.5 drive - Optical Drive - SATAMounting Kit for 2nd 3.5" HDD. Fujitsu ESPRIMO for second 3.5 drive - Optical Drive - SATA. Fujitsu S26361-F4035-L21. Type: Other, Product colour: Black,Green,Red, Size: 8.89 cm (3.5").